You have seen those pictures. Instagrammed background, huge letters and a single motivational quote. They can be original, fun. If you overdo it, it might get boring. But with the launch of Overgram you have no excuse for not trying to inspire and motivate people by putting your words on top of images. 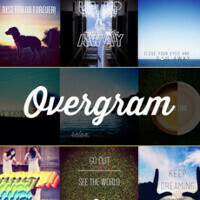 Overgram does exactly that and has now arrived for iPhone and iPad. 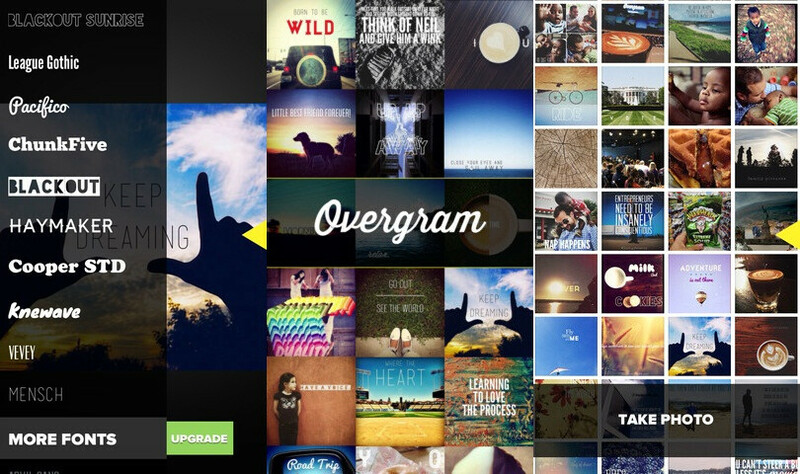 With a free version that grants access to the basic functionality and 10 fonts, and a paid one ($1) with a ton of additional fonts to experiment with Overgram is fun. You can resize and carefully position your text, and then save and/or share on Facebook/Twitter/Instagram/Tumblr or email. A tiny watermark appears on pictures created using the free Overgram, so it definitely seems like a good idea to spend that one dollar and get both more fonts and a clear image. The results are expected soon on your facebook stream. Brace yourselfs girls posting ''inspirational'' oversaturated pictures are coming!